Adam Bannister is Editor of IFSEC Global. 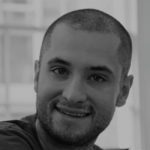 A former managing editor at Dynamis Online Media Group, he has been at the helm of the UK’s leading fire and security publication since 2014. What it doesn’t typically raise are concerns about the ramifications for fire protection. But the issue is now getting media attention after a robot-staffed Ocado warehouse was devastated by fire last week. The fire broke out at the site, in Andover, Hampshire, on Tuesday 5 February and, despite the efforts of around 200 firefighters, it tool until Friday morning before it was finally extinguished. Spanning 18 acres the site is manned (though that word seems inapt) by 1,100 cuboid swarm robots, which collect groceries from crates and deliver them to a packing station. That’s not to say that electronics were to blame in this instance; the cause of the fire remains unclear pending an investigation. At least if no people are employed, there is no risk to life when fire does break out. Nevertheless, the incident will surely cost the online supermarket millions of pounds in damaged stock (and robots) plus operational disruption. The latest in a litany of warehouse fires in recent years, the Ocado fire shows once again how fiendishly difficult fire protection is in these environments. The high concentration of an enormous volume of flammable materials means fires take hold and spread rapidly, leaving firefighters to tackle enormous burning buildings. “The Ocado warehouse fire is a stark reminder of the instantaneous impact that fire can have on a major business, its operations, and share price,” said Dr James L D Glockling, technical director at the Fire Protection Association. The Ocado warehouse reportedly deployed a sprinkler system that has won a global award and which activated correctly. “With (unconfirmed) information emerging that the Ocado warehouse was sprinkler-protected, this sad event will no doubt prompt a thorough investigation as to the circumstances that might have led to the protection system being overwhelmed,” continued Glockling. Although it is too early to comment specifically on the Ocado fire, Glockling said the incident generates wider questions about the challenges posed by modern warehouses. “Although the majority of sprinkler operations result in a fire being extinguished, their design remit is to stop the development of a fire, hold it at a manageable size, and support fire and rescue service intervention (ensuring structural integrity of the building and supporting tenable conditions) for a predefined period of time until it is manually extinguished by them. 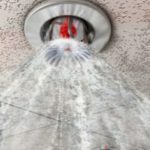 Glockling cautioned against assuming flawed or faulty sprinklers were to blame: “The design of any sprinkler system needs to be accompanied by strict control of the environment it is designed to protect. Any holistic design requires a passive envelop to work within and control over key parameters that might act to form sustained ignition sources or spread fire, requiring isolation of power, heat, energy systems, and conveyancing systems to name but a few. Failure of any one of these supporting systems could contribute to creating conditions that the sprinkler system was never designed to cope with. Glockling suggested that regulations have not kept pace with the growing complexity of the problem. “The UK has the laxest mandated requirements for the protection of the commercial estate from fire in Europe – allowing enormous unprotected compartment sizes. Subject to the findings of any investigation, perhaps now might be the time to review this so that the fire and rescue service response and installed protection systems can be designed with knowledge of an upper limit by the constraining of building proportions and compartment size to a level that assures protection performance and FRS response can work in harmony as design demands. 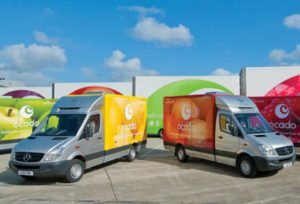 Ocado, which envisions a people-free platform where the ordering, packing and delivery (via driverless cars) is fully automated, processes 65,000 orders per week at the Andover site. The Ocado model has already been licensed to Morrisons supermarket in the UK, Groupe Casino in France and the Sobeys chain in Canada. This article was originally published on IFSEC Global. Ocado blaze: Automated warehouses create new fire protection complexities, says expert The recent fire at an Ocado warehouse in Hampshire ranged for three days before finally being extinguished at the end of last week. Dr James Glockling, Technical Director at the FPA, says that the blaze raises questions about the role of sprinklers and complexities created by the automation of warehouse facilities. And who would have thought it, huh? A proper understanding of any automated (or other) process should be developed before they’re fully implemented. This includes risk assessments, fire risk assessments (they aren’t just documents, they’re documented evidence of a systematic examination of what you’re doing). An organisation’s physical and other forms of infrastructure should be evaluated to make sure it can cope with changed – including sprinkler systems, location of fire fighting equipment, escape routes/exits, etc. It’s not really all that difficult, but often simple things get overlooked as insignificant, or just not taken into consideration at all.